Upright vacuuming has lots of benefits over cylinder vacuum cleaners. The cleaning head on an upright is typically larger, meaning you spend less time cleaning your floors. They are also particularly good at removing dirt lodged in carpets, so you can be certain the 90573GB will leave your floors spotless. The 90573GB comes with a handy hose and wand, letting you clean awkward crevices and under furniture. It is particularly helpful in reaching high ceilings, removing irritating cobwebs with ease. A range of attachments come with the 90573GB, including a crevice nozzle, an upholstery nozzle, stair cleaning hose system and a Clean Box. 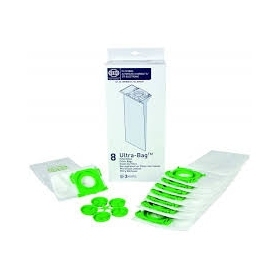 The Clean Box comes with 500g of carpet cleaning powder and a brush - ideal for spot cleaning on carpet and upholstery. 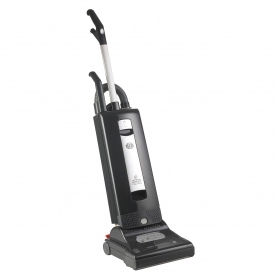 A powerful, 1100 watt motor drives the 90573GB, ensuring great results every time you clean. Furthermore, Sebo are known for great reliability and high standards of quality and design, so you can be assured your product will work at its best time and time again. Sebo have also designed the 90573GB to be as comfortable as possible to use, allowing users to adjust the height of the appliance. The 90573GB Sebo vacuum cleaner offers great performance and convenience. Put one in your shopping basket today.